Sesame seed is considered to be the oldest oilseed crop and its seeds contents highest amount of Oil. 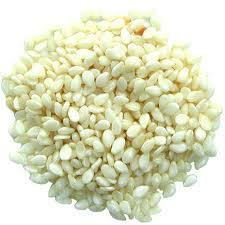 Sesame seeds are available in different colours but mainly traded in off white color and are nutty in taste. Sesame seeds are a very good source of manganese and copper and having it regularly prevents high blood pressure.